Whether you’re a builder, trades-person, or you just need something big and strong to get your growing family from A to B; your vehicle will be your workhorse, and it needs to benefit from both strength and space. You’ll need something with plenty of room, that can take a battering, and that doesn’t feel like a challenge to drive. 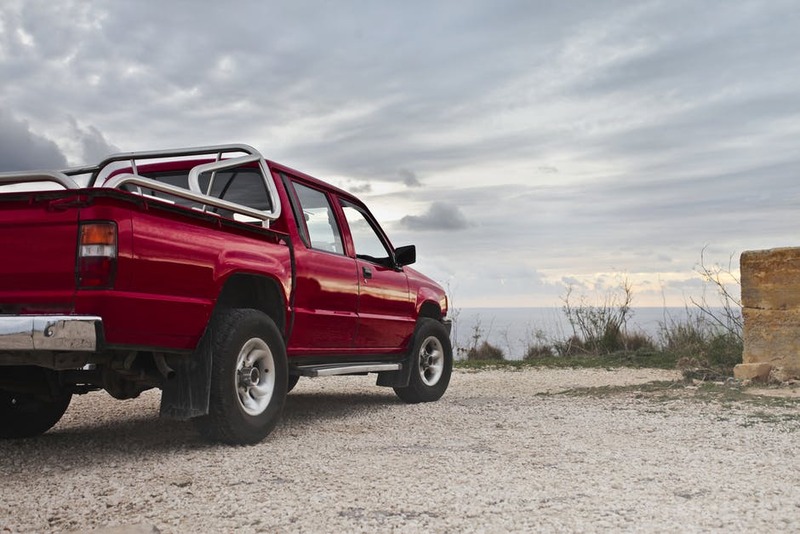 Therefore, you’re probably already on the lookout for a sturdy pickup, or a 4×4, that doesn’t fall short on style or design. Fortunately, car manufacturers are catching up with the growing need for work vehicles that need to provide comfort and class when they’re not stocked full of materials and tools. Multi-use cars and pickups are in demand, especially as the economy grows tighter, and those leaving the building site are heading straight to pick up their kids from school. Luckily, there are an array of options on the market for those who are after the best of both worlds, but who need their vehicle to have longevity and staying power; this will often be an investment for their trade or business, so it needs to step up. If you’ve got a large family to consider; safety will also be something you’ll be mindful of. Your vehicle needs to perform well, in any circumstance. With a budget and a list of requirements in mind; it can be a challenge to know where to start, especially if you’re buying or leasing a pickup for the first time. That’s why the following are some ideas and inspiration for those who are working out which large car is going to work best for their lifestyle. If you’re a driver who definitely has an eye for design and detail; it’s worth looking into popular pickup models and names that can offer you just the right amount of space and power. The Ford Ranger will suit anyone with an active lifestyle. It’s tough enough for heavy duty work, and challenging terrain doesn’t pose an issue. There’s also a touch of luxury in both the interior and exterior of the vehicle; it’s also satisfying to drive because it’s responsive and you won’t find a problem with grip. Known for its compact and svelte design; a Ranger could be just what a family are looking for; something large enough for work and play, but, without the risk of overwhelming your driveway. You can check out various options online, in regards to lease or sale, for some ideas on price and the various models on offer; this will give you a better understanding of if this beauty and the beast pickup is right for you. Another US classic is the reliable Chevrolet Colorado; it’s engines are known for both the power, and the fuel economy. Therefore, it might be one for the family on a budget. With the Crew Cab models being able to fit adults, comfortably, on their second row; there’s no doubt that this could be your multi-use vehicle of choice. Head to some dealerships with the family in-tow; this is the best way to get a feel for your potential new pick-up, and see if everyone can fit in the back. You’ll also get a great idea about the space you’ll have left for your equipment, tools, and everything you’ll need to carry along with the kids and dog after you’ve left work for the day. If you’re after a car with a great reputation for toughness and reliability; you’ll want to take a test drive in the Mitsubishi L200. It’s been on sale for over 30 years now and is still a popular choice for builders and those in the trade, nationwide. The L200 has also been fitted out with an array of luxuries to ensure it can stand up against its competitors on the market today. Depending on what model you go for; you can have it as utilitarian as you like, or choose something with more luxury, making it more of a family-friendly car. The L200 is a lighter-weight pickup, making it a little less sturdy than others on the market; however, this element ensures it can offer speed as you nip from A to B. If you’re considering in investing in a 4×4, and you’ve never driven one; you need to be prepared for some changes. The first step in your process is to look into what size and model you’d like to go for, and head to a dealership for a test-drive. You’ll probably be converted to the more prominent vehicle straight away, but there’s always a chance that it will put you off, and your 4×4 plans come to an end. Either way, it’s crucial to get in one and see how it handles on the road before you make any investment decisions. These spacious cars are often bought by larger families, who want the security of a hefty vehicle, power, and the option to get off road now and then. There will also be room in the trunk for plenty of work gear and tools, although; nowhere near as much as a pickup, so it’s worth bearing this in mind. Volvo has been making waves in the news with the release of their XC90 and more recently XC60 SUVs. If you’re in the market for a substantial 4×4, but you don’t need the seven seats of the XC90; it might be worth looking into the massively successful premium mid-size SUV. Other popular models with families include those from Land Rover and Lexus. For a list of vehicles to inspire your next purchase, take a look here and start planning your test drive. Think about the space and power you really need, and what the priorities are in your life, then, you’ll be sure to find a car that’s perfect for you.